Whatever kind of help and support you want with your WordPress we can help. WordPress Help and Support – a range of options available, contact us for more information and prices. WordPress Rescue – if you suddenly lose your WordPress – don’t panic and just get in touch – we’ll get you live again as quickly as possible. WordPress Workshops and Training Online – ongoing training that you can work on when it suits you that takes you through creating your own blog and/or website, and then kickstarting your blogging too. Whether you have a static brochure website, or a blog on Blogger, Blogspot, WordPress.com or others – we can help you to move this into your own WordPress site. And if you need that done over a weekend, that is possible too. With packages depending very much on what you have now, and supporting you as you become used to working with WordPress, it makes sense to make the move and be able to do more with your website and blog. Tell us what you want and we’ll explore how WordPress can work for you. And if WordPress is not for you, we will suggest something more suitable for what you want. Basic Install and Hosting : The simplest of options is to have your WordPress installed on the hosting – no frills and everything ready for you get stuck in and add pages, themes and plugins. Your hosting is for one year and includes full access to your control panel so you can manage your hosting yourself, including email addresses and more. 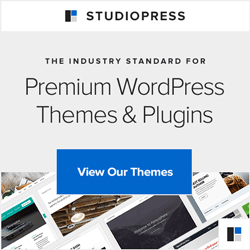 WordPress Setup: If you want us to set up your WordPress a little more, with a few pages created ready for your content, useful plugins installed and activated for you and a selection of themes for you to try out, and again to include your hosting for a year. Ready for your SEO input and other tools of choice. Business Website or Blog ready for action : Taking all the above forward to creating a business website or blog for you – most likely working with a premium WordPress theme that will incorporate your logo and/or header design as much as possible, ready for your content and SEO ready (we will include suggestions if you want them). Your hosting for the year again included. Full design service: the top end of our services – taking your graphic designer’s thing of beauty and combining that with the ease of WordPress. And pricing this really does depend on what you and your designer need WordPress to do for you. Contact us for a quotation on this as it really will depend on how complex your design is. Blogging for you – based on updates and chats with you, we will prepare your blog posts, update them, respond to comments and actively promote each post. Design: we are not designers. Yes we can put images together and add text but beyond that, you really want a professional graphic designer. Even we finally saw the light and are have our own illustration created just for us by Amanda at Truly Ace – it makes sense. We work with several excellent designers and can introduce you. They will work with you until you are happy with the end result – whether that be for a whole website or for a logo. Content – we work with copy writers to suit most needs and will happily suggest good people we trust. SEO – again, we know people who do but can include a good deal of this for you – we’ve been including SEO and working on this for many clients over the years.